Wires. Wires are old. Wireless is new. Wireless is the way forwards. The issue in the past wasn’t the fact that wireless communication wasn’t available, the radio was invented 1895 and Bluetooth is basically the same thing. The problem was (and is to a certain extent) wireless Power. That is, at this point in time, it’s impossible to transmit power wirelessly over a relatively large distance, so batteries have to be used, but batteries weren’t great until a couple of years ago. Now that batteries are better, as I said earlier, wireless is the way forwards. 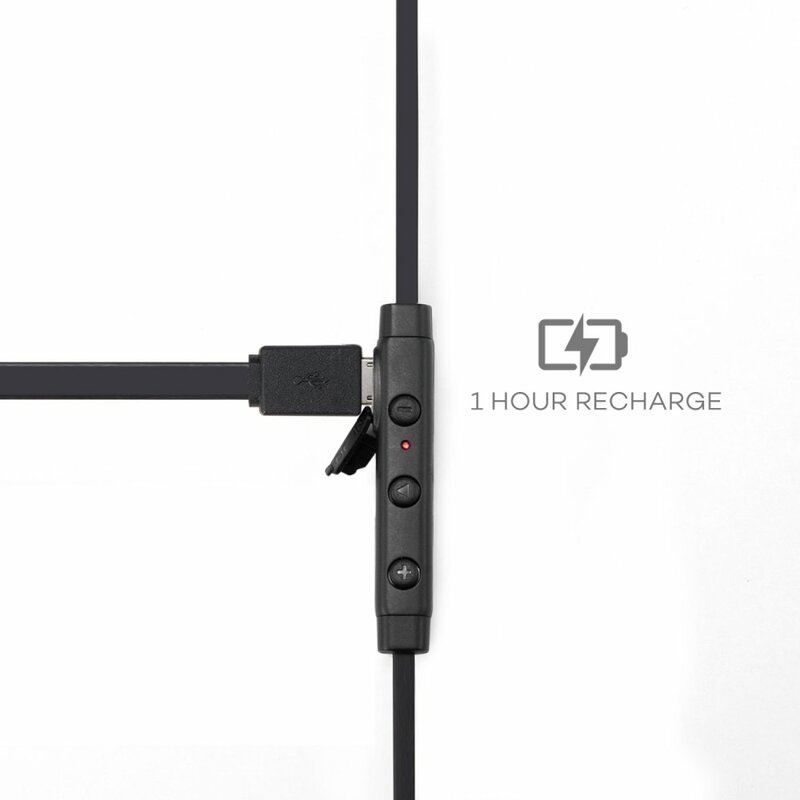 Taotronics (along with a multitude of other electronics companies) realise this and take advantage of it and hence they release products that operate wirelessly. In this review I’m going to be comparing two Taotronics products, namely, the TT-BH07 and the TT-BH08. Both are wireless Bluetooth headsets, one is rated for the outdoors. 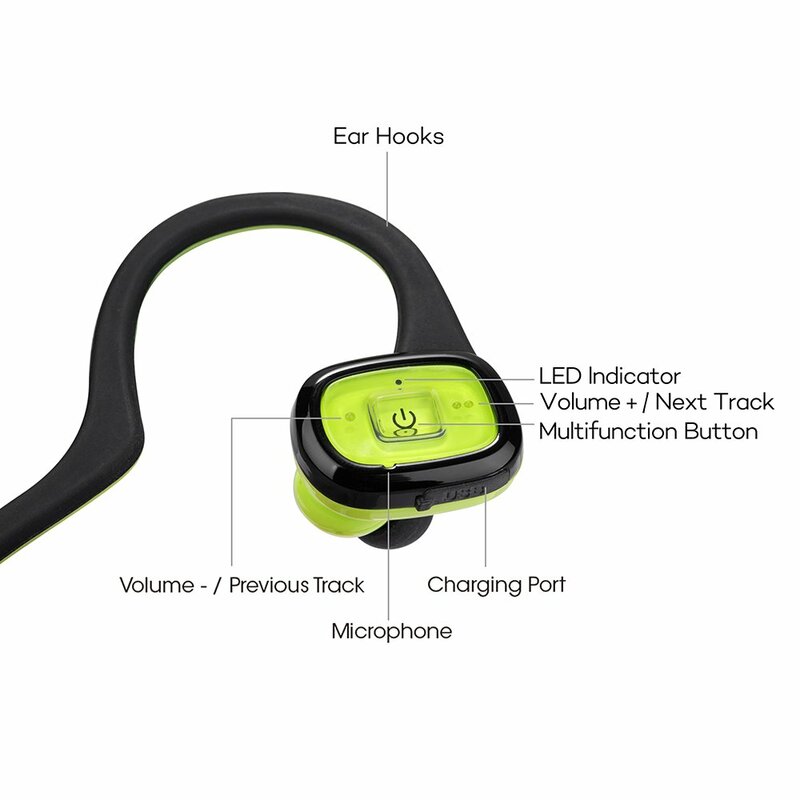 The TT-BH08 is a ‘sweat-proof’ sport Bluetooth headset. It feels rubbery since it has a soft silicon surface so as to increase it’s water resistance, ergo, it’s sweat resistance. The neck band is flexible and it molds around your neck making it easy to forget it’s even there. 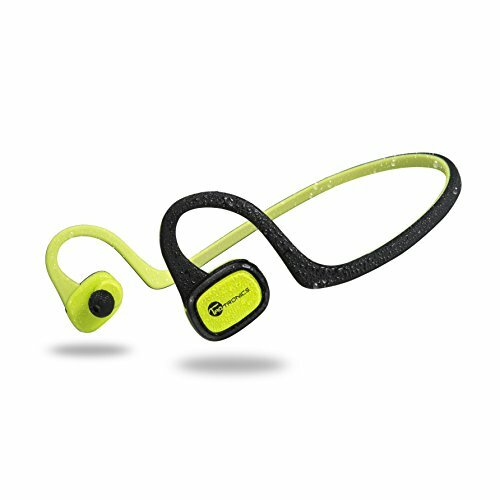 Unlike conventional headset, the TT-BH08 comes with an ‘ear-hook’ which makes sure the earpiece stays in place whilst the user performes different types of sports. The right earphone has three buttons on it, the power / multi-function button, Volume Up / Next Track and the Volume Down / Previous Track. The latter two are conveniently marked with braille style dimples, one for Volume down and two for Volume up. This makes it extremely easy to recognise the buttons without having to feel around. Switching to the other set, the TT-BH07 have a more sleek and serious design. Although they are marketed as being secure for sports, this model is not water resistant. 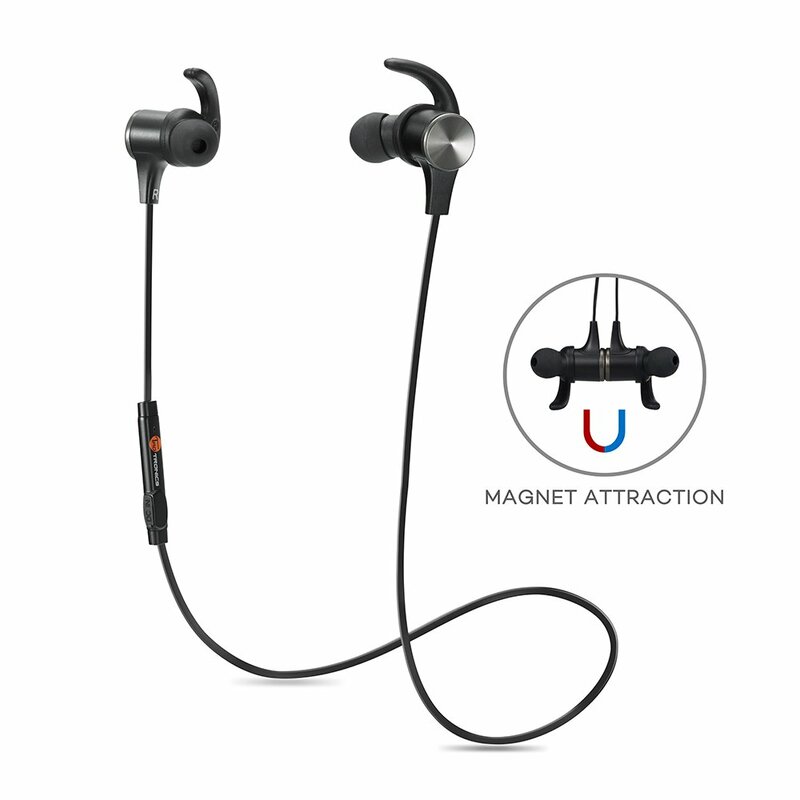 They do come with a cool extra feature though, that of having a magnetic attraction at each base of the earpiece. This means if you’ve had enough of listening to music you can just take them off and clip them onto each other around your neck without having to stop your workout to put them away in a carry pouch. Unlike the TT-BH08 the control buttons are not on the earpiece but are instead on the strap. The buttons perform the same tasks as for the other headset but they are quite small when compared to the ones on the TT-BH08, though I don’t believe this should be an issue. Both headsets have the same features. They both play music wirelessly off your phone, both have an in-built microphone to allow you to answer calls without looking at your phone and both have buttons to switch track and adjust the volume without looking at your phone. The audio quality is impressive on both of them. Considering the size of the ‘speaker’ inside the headset I was pleasantly surprised with the amount of bass it emitted. Fortunately the bass isn’t overcoming the other ranges and thus music sounds crisp, clean and genuine. The TT-BH08 has an in-built ceramic antenna and supports Bluetooth 4.0. It rocks an impressive battery life of 7 hours. The TT-BH08 supports Bluetooth 4.1. This means that it’s quicker and easier to pair with your device than before. The battery life is rated slightly less at 5 hours, but to be honest I don’t believe I’ve ever had time to listen to music for 5 hours straight! The stated stand-by time is of 175 hours on a single charge, so don’t worry about forgetting it on! I tested both devices over a couple of days and I can’t really say I prefer one to the other – they have different uses. I use the BH08 when I go out jogging, it stays put in my ear and I don’t need to worry about getting sweat on it and ruining it. When travelling to work I use the BH07 because they are sleeker and more ‘business-like’. They pack smaller than the BH08 so I can just easily slip them into my pocket once I arrive at work. Which would I suggest? Well, it depends. Do you like to work out? Do you travel long distances? As I said it depends, but I believe that if you know why you’re buying a Bluetooth headset, you will know which set to buy.